The ice is melted on the Winooski River as Waking Windows returns May 3rd to May 5th. 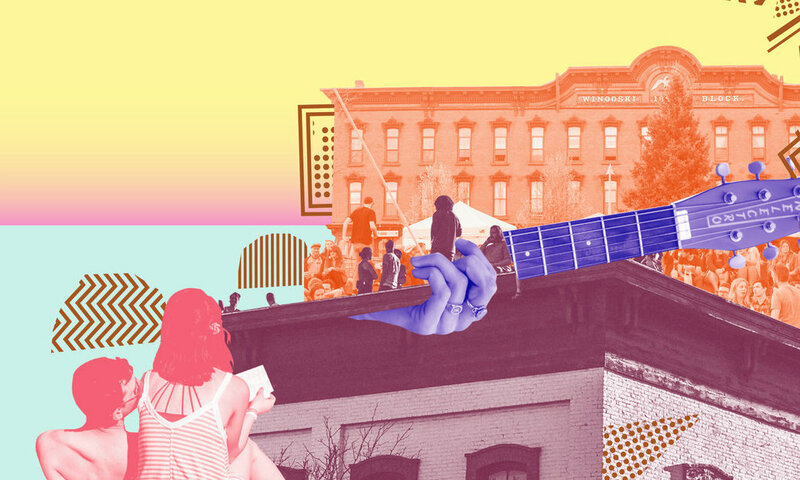 This 3-day festival fills downtown Winooski with revelers enjoying music, art, comedy, food, and drink. Stark brick buildings from the 19th century serve as backdrop reminders of this small city’s textile industry past. 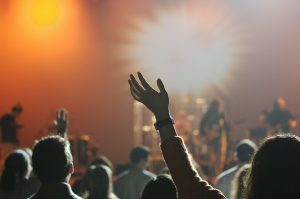 Musical notes are woven into the air at venues large and small, replacing the once omnipresent hum of weaving machines. There are special Kid Zone activities for younger revelers enjoying the vibe of this annual welcome-to-spring event. The Media Factory, a 2019 Waking Windows sponsor, will feature DJs from WBTV-LP, 99.3 FM, broadcasting live at the event from 4:00 p.m. to 8:00 p.m. on Friday, May 3rd. Come on down to our set-up, grab some swag, and tape a station identification, just for fun. You, too, can be on the radio! Waking Windows started at Winooski’s Monkey House in 2011 as a 12-day event. It’s since spread to Portland, Maine and Detroit, Michigan.